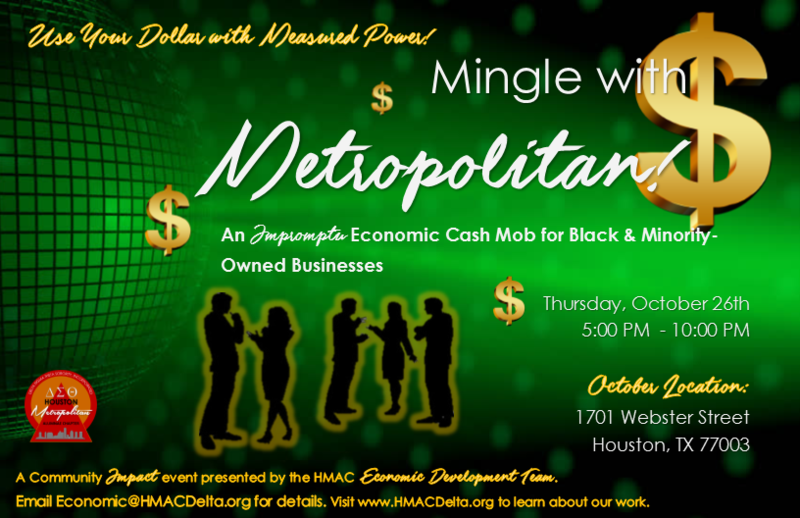 The Economic Development Committee is happy to announce the launch of "Mingle with Metropolitan," a series of mixers that will be held at various Black and Minority owned restaurants and lounges around the city of Houston. The idea is to "mob" the establishment with our dollars, in one evening, such that a sizeable amount of money is infused into the business. Not only is it beneficial for minority entrepreneurs, it is also a great way to get to know the lovely ladies of HMAC. It is going to be a great time; come out and join us!